Jeffrey Brinker won a defense verdict in a medical malpractice trial in the Circuit Court of St. Louis County, successfully defending a dermatologist and her corporation which were alleged to have mistreated a minor patient with isotretinoin, an acne medication. Plaintiff alleged he had been improperly started on the drug, and that his dosage had thereafter been inadequately monitored and negligently increased. 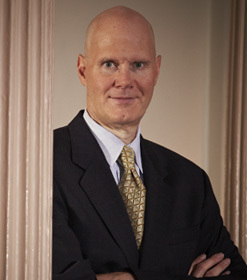 As a result, he claimed to have developed ulcerative colitis, which in turn necessitated a total colectomy and the formation of an internal “J-pouch.” The defense utilized expert witness testimony and medical research to debunk the allegation that isotretinoin is related to ulcerative colitis, and also to show plaintiff’s treatment met – or exceeded – the standard of care. After a four-day trial, 11 out of 12 jurors found for the defendants, successfully ending more than three years of litigation.